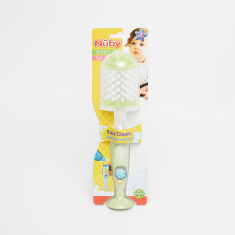 Nuby Bottle Brush with Soap Dispenser | Green | Suction base leads uprights position which prevent from dust and germs. 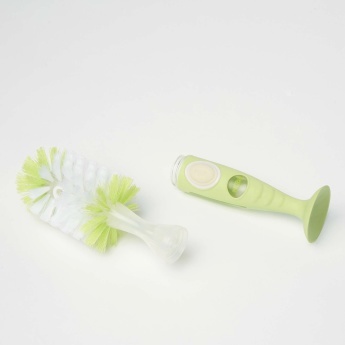 Pick this bottle brush to clean your baby's feeding bottle thoroughly. 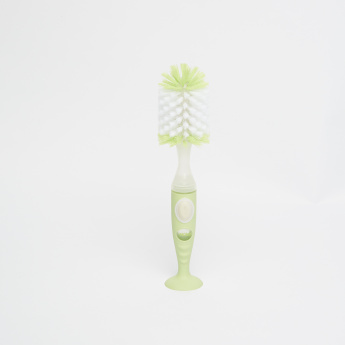 It has a suction base that keeps germs and dust away by enabling the brush to stand on it own along with a brush for an easy cleaning process. 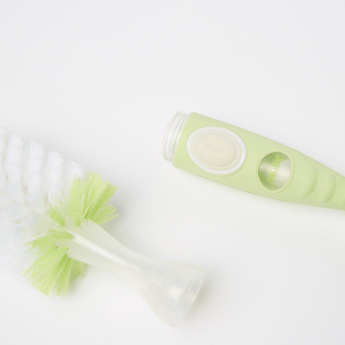 Feature 2 : Dispense liquid soap with simple push button.